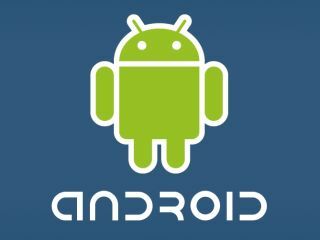 Google has shown off the next iteration of its Android OS - codenamed Donut - at the recent Google I/O conference. The next version will build on the search functionality of the device (which is hardly a shock given Google's backing) and has taken the 'anything you can do, we can do better' approach to Apple's iPhone 3.0 update by bringing its own version of Spotlight. In the next version, users will be able to search both locally on the phone and online at the same time, as well as being able to pore through calendars, music and other applications that are written with the proper search code. Handwriting recognition was also shown off, but in a cooler way than just trying to scrawl out a text - you'll be able to search through music and contact lists by writing a letter on the screen and jumping to that point rather than thumbing down through reams of names. There's not a lot of other information kicking around at the moment over the new iteration, apart from a text-to-speech API that appears to let users chat into the phone and see their vocal requests appear in the search engine, and a mobile version of Google's translate service as well. There's sure to be more information on the new OS in the near future, especially given that the recent 1.5 'Cupcake' update went through numerous iterations before finally landing in the Magics and G1s of the world.